Our mission is to enrich our community through the arts, with a vision that everyone in our region will have access to high quality arts programming, expression and education. 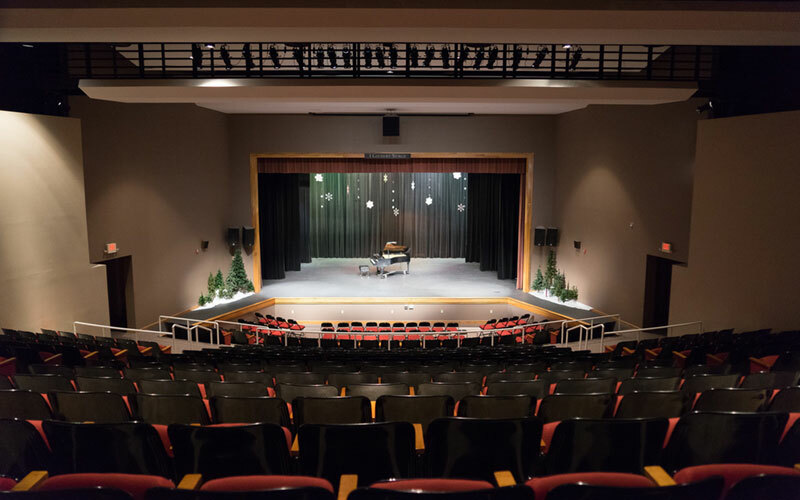 As part of the Swain County Public Schools System, the Swain Arts Center has been an important part of the Bryson City community since 2000 — a destination for area artist exhibits, community concerts, visiting performer programming for students, student led programs, and community celebrations. Rachel Lackey is the Director of the Swain Arts Center. Music has always played an important role in her life, so she understands the integral role the arts play in education and enrichment. The Swain Arts Center Advisory Board, comprised of representatives from Bryson City, works closely with the Director to implement the mission of enriching our community through the arts. The Swain Arts Center is available for use by qualified independent organizations for compatible events and activities. For more information, Contact Rachel Lackey, Director. 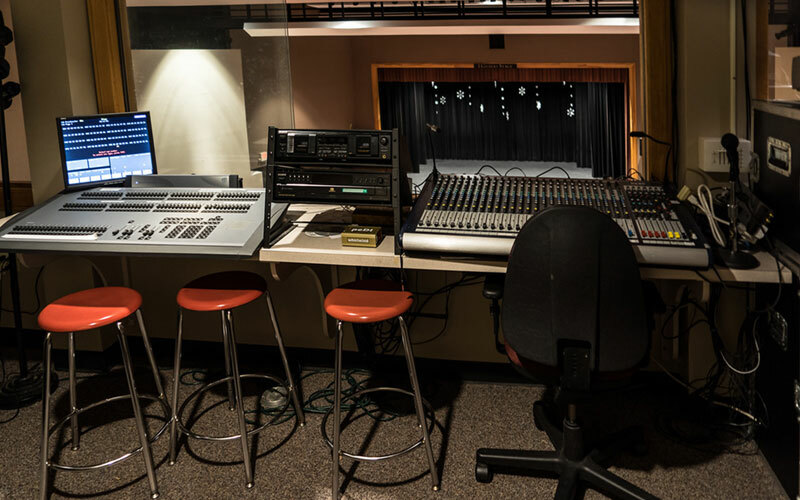 The Swain Arts Center is equipped to offer high quality light and sound production. The facility uses a 24 channel Soundcraft GB4 sound system. We have six wireless channels available where you may choose a combination of wireless hand held mics, lavalier mics, and Countryman over the ear mics. An ETC 48/96 lighting control system provides many options to control over 90 lighting instruments. Video projection is also available. The Swain Arts Center has an audio engineer and lighting director available to meet sound and lighting design needs. 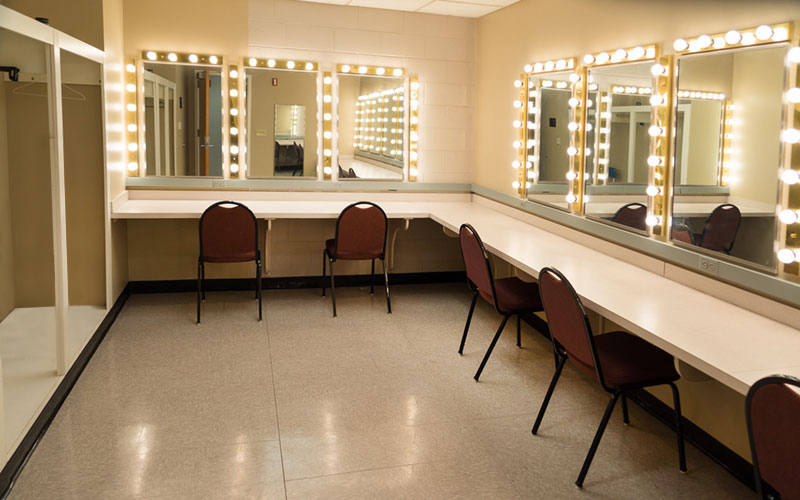 Two backstage dressing rooms are available for performers. The rooms feature lighted mirrors and space for wardrobe storage. Restrooms are located adjacent to the dressing rooms. All of the Swain Art Center facilities are for rent – the auditorium, classrooms and grounds of the Swain Arts Center may be scheduled for use by government agencies, organizations and individuals, provided the activities involved are in keeping with the educational and cultural goals of Swain Arts Center and provided the activity does not compete with or hinder the educational and extra curricula activities at Swain County High School. Since the Swain Arts Center is located on a public high school campus, the content of all visual and performing arts must be acceptable for that population. Swain County Schools is in the process of reviewing its website to ensure compliance with Section 504 of the rehabilitation Act and Title II of the Americans with Disabilities Act. If you have questions or concerns regarding the accessibility of the website or if you are unable to access a page or document on the website, you may contact the webmaster at charles@deepcreekarts.com.